Romantic and heartwarming piano sets the mood as Mark Stephen Ross transports the listener to the sentimental embrace of the family or summons moonlight and quaint bistros where the piano man seems to know your secret feelings. 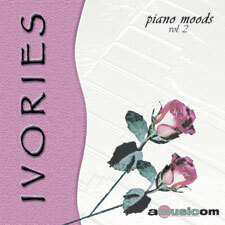 Make a rendezvous with Amusicom's gentle dreamer in this two CD set (AMC 107). 12 02:03 FULL Light, hopeful, spiritually uplifting, solo piano.